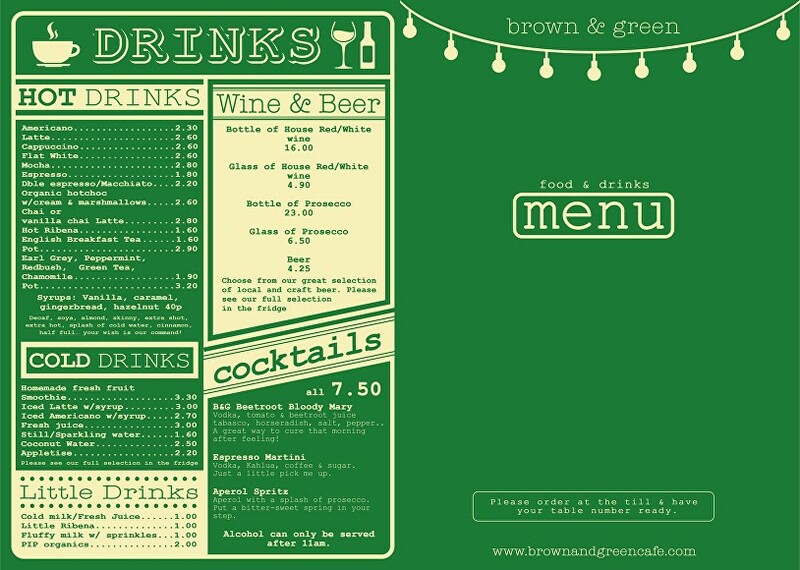 Brown and Green is a stunning independent cafe in Crystal Palace, South London. Part of a small, familial group of food-centric cafes in the area, Brown and Green, on the triangle in Crystal Palace, is arguably the largest and most arresting of the five. Owned and managed by the dynamic twin-sister duo, Laura & Jess, Brown and Green is the product of their combined creativity, passion and endless hours of hard work. The result? It's difficult to describe in so few words! 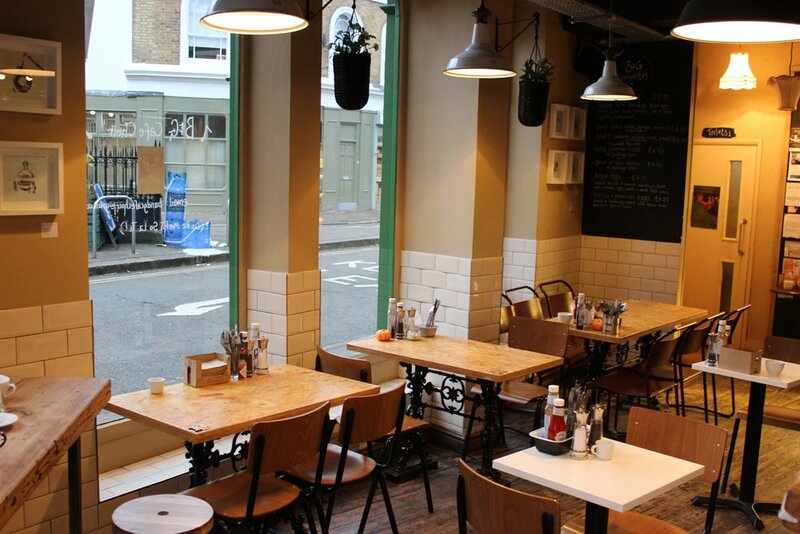 Committed to serving only the most wholesome & nutritious brunch options, the team at Brown and Green have quickly established themselves as one of -if not the- best spot for breakfast & brunch in Crystal Palace. Popular with working professionals, mothers and everyone in-between, take a quick peek at the menu and it's easy to see why. Expect exceptional Fair Trade teas & coffees, bangin' bacon butties, all types of scrambled eggs, full English breakfasts, a wide range of vegan & vegetarian fare, freshly baked croissants, steaming porridge, salads, homemade soups & sandwiches. For those with a sweet tooth, they also offer a selection of cakes, muffins and other indulgences. It may be difficult to believe, but the appeal of Brown and Green actually extends past their food offering. Having grown up in Crystal Palace, both Laura & Jess are delighted to be able to serve and contribute to our amazing community and strive to do so in as many ways as they can. For example, the B&G Cafe Choir - a group who enjoy tea, cake, harmonies and nothing more than meeting up and covering funk and soul classics. Jess & Laura's most recent venture has been to set up a weekly supper club, whereby guest chefs are invited into the kitchen on Thursday evenings to serve and stun local people with their varied cuisines, flavour combinations and fascinating food cultures. Fully licensed and serving a handpicked selection of wines, beers and cocktails, these nights tend to book up well in advance so don't hesitate to call and book for your journey of food discovery! Brown and Green's other premises include; Gipsy Hill Train Station, Mayow Park in Sydenham and Crystal Palace Train Station - including a kiosk on Platform 1.